Of course, not all shotgun sidesaddles are the same. There are some slight differences between the different sidesaddles that are on the market. Most of the differences have to do with the number of shells they can carry and the location of where the sidesaddle can be mounted onto the shotgun. For the most part, sidesaddles are mounted on the side of the receiver just opposite of the side that the chamber is on. So, you would just pick up shells on one side of the receiver and then load them into the other side or into the magazine tube. By doing this, you won’t even have to take your strong hand off the shotgun at any time. As for the shell capacity of the sidesaddle, that is really up to you. Most sidesaddles will allow you to carry either 4, 6 or 8 extra shells. This might not seem like much, but those few extra shells can make all the difference in the world when you desperately need to fire a few more times at your target. Besides, you wouldn’t want to have a sidesaddle holding too many shotshells because it would create more weight and take up too much room. Sidesaddles are designed to give you just enough shells while keeping it lightweight and hassle-free. Shotgun sidesaddles can cost anywhere between $20 to $70, depending on the quality and material it’s made out of. Just make sure the sidesaddle you choose is compatible with your particular shotgun model or else you won’t be able to mount the sidesaddle onto your shotgun properly. The TacStar Side Saddle is a tactical style shotgun sidesaddle that is compatible with the most popular 12-gauge Remington shotguns. 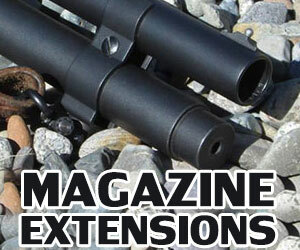 The three Remington models that it’s compatible with are the Remington 870, 1100, and 1187. The TacStar Side Saddle comes in a black color and has an ammo capacity of up to 6 shells. This is the standard capacity for most shotgun sidesaddles on the market. The only difference is the TacStar Side Saddle is made of a corrosion resistant polymer material which makes it virtually unbreakable and protects it from harsh weather conditions. Not only that, but it also makes it lightweight as well. That way, it won’t add any extra weight to your shotgun so you can still maintain the same level of accuracy and stability in all your shots when this sidesaddle is attached to your weapon. Now, you may be thinking that mounting a sidesaddle onto a shotgun requires you to have a vast knowledge of weapons and their components. The great thing about the TacStar Side Saddle is that it is very easy to mount onto your shotgun. You won’t need to go to a gunsmith and have it specially configured. As long as you have a Remington 870, 1100, or 1187, the TacStar Side Saddle can be easily mounted in just a few easy steps. The sidesaddle contains an aluminum mounting plate which just goes right onto the side of your shotgun’s receiver. Then anytime you need to reload your weapon quickly, you can conveniently grab a shell out of the sidesaddle and load it right into your chamber, all with the same hand. The cost of the TacStar Side Saddle is only $23.97 on Amazon.com. 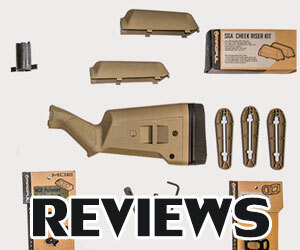 This makes it one of the most affordable shotgun sidesaddles that you can purchase on the market. And for that, you can a lightweight and durable sidesaddle that can be used in all kinds of environmental conditions. If you are a hunter that frequently takes their shotgun out in the rain or snow, the TacStar can handle these conditions with no problem. If you are a military of law enforcement officer who might frequently drop their weapon or accidentally subject it to banging or harsh handlings, this sidesaddle will stay in place without cracking or falling off your shotgun. You can’t ask for anything better in a sidesaddle that is this affordable and this reputable by shotgun enthusiasts all around the world. 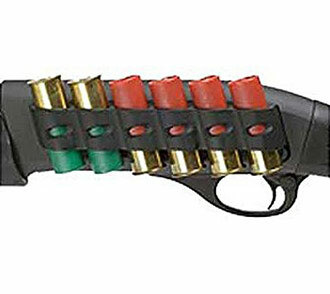 The Mesa Tactical Sureshell Shotshell Carrier is a shotgun sidesaddle that is designed to fit onto a 12-gauge Remington shotgun for models 870, 1100, and 11-87. This sidesaddle can hold up to 6 additional shells which will be conveniently accessible on the side of your receiver. That way, you can keep one hand on your weapon and use the other hand to pull a shell out from the sidesaddle and then load it into your weapon. The sidesaddle itself is made out of 6061-T6 Aircraft Aluminum, which is a high-quality lightweight metal that is extremely durable. The best part is that you won’t need a gunsmith to mount this sidesaddle onto your shotgun. As long as you have a Remington 870, 1100, or 11-87 shotgun, the Mesa Tactical Sureshell can easily mount onto the side of the receiver by following just a few simple steps. Directions on how to do this are included with the sidesaddle, in case you are new to mounting sidesaddles onto weapons. Because the sidesaddle is made out of 6061-T6 Aircraft Aluminum, it is designed to sustain the harsh impact of tough environmental conditions. If you frequently take your shotgun out in the rain, snow, dirt or use it on the battlefield, you won’t have to worry about the condition of the Mesa Tactical Sureshell because it can sustain tough blows without getting damaged. After all, that is why it is called a “tactical” sidesaddle because it is meant to be used by military and law enforcement officers in conditions where shooters don’t have time to think. On top of that, it’ll be so easy to reload your weapon with this sidesaddle that it could literally save your life if you were to be presented with a dangerous situation that required you to shoot quickly. 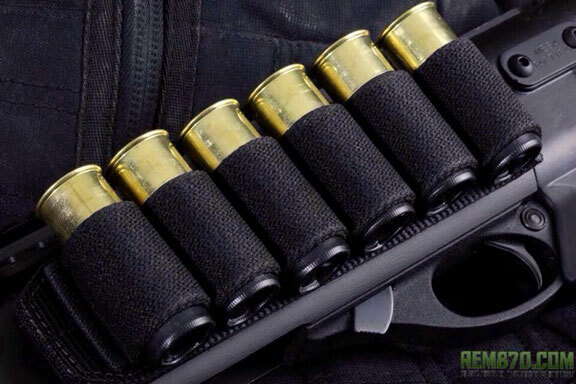 The price of the Mesa Tactical Sureshell Shotshell Carrier is $60.94. This might seem like a bit more money than the average shotgun sidesaddle, but that is because you are paying for quality here. Whereas most sidesaddles are made out of polymer, this sidesaddle is made out of the toughest aluminum metal there is. That is why it is used to construct aircrafts that fly hundreds of miles per hour in the air. So, you can be sure that wherever you’ll be using your sidesaddle, it will be able to handle just about any circumstances that are thrown at it. And since it is over $49 on Amazon, that means you can get free shipping on your order as well. 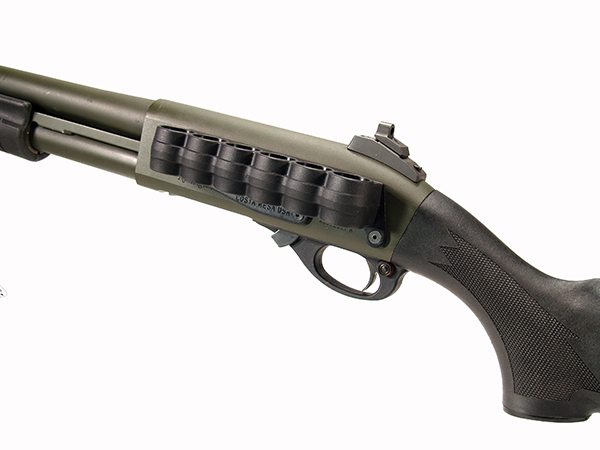 The Tac-Star Slimeline SideSaddle is a shotgun sidesaddle that is compatible with the Remington 870, 1100, 11-87 and Mossberg 500/590, Maverick 88. This particular sidesaddle features an anodized aluminum backing plate that is rigid and strong enough to sustain the worst environmental conditions that you can imagine. It also doesn’t produce any glare either so you don’t have to worry about sunlight reflecting off from it. But as durable as the material is on the inside, the exterior shotshell of the sidesaddle is made of synthetic rubber which helps secure the shotshells in place once they are put into the saddle. This rubber coating also protects the interior from getting scuffs or unwanted markings as well. The Tac-Star Slimeline SideSaddle can hold up to 6 shotshells at a time. As long as you have a Remington 870, 1100, 11-87, Mossberg 500/590 or Maverick 88, the sidesaddle can easily be mounted to the side of your shotgun without needing the expertise of a gunsmith to do it for you. All of the instructions on how to mount the sidesaddle are included with it and they are very easy to follow. You don’t even have to be a gun expert to be able to follow these instructions. 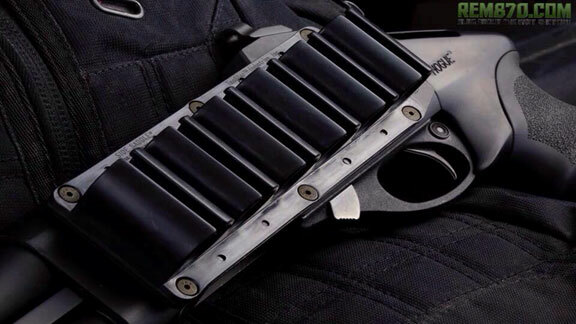 Best of all, the Tac-Star Slimeline SideSaddle is made in the United States of America. 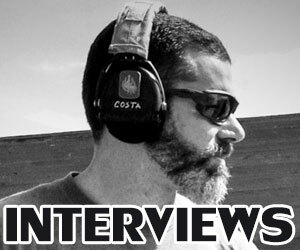 Tac-Star is an American Company that specializes in manufacturing gun parts and accessories. If you are an American gun owner who only likes their gun products to be made in the USA, then that is all the more reason to purchase this sidesaddle. Amazon currently has the Tac-Star Slimeline SideSaddle listed for $28.73. This is certainly more affordable than the expensive $60 sidesaddles that pretty much serve the same purpose and contain the same features. The Tac-Star Slimeline SideSaddle is reduced in size so that you won’t have as much snagging as you would with these other sidesaddles too. Once you purchase this sidesaddle, you will never have to worry about the weather conditions outside or the rough environment that you are going into with your weapon. The sidesaddle will be able to survive the worst worst rains, and the worst drops or mishandlings that are done to it. That way, you can just focus on the target that you need to shoot at without worrying about the condition of your shotgun’s accessories. This is the kind of peace of mind that all shooters need to have. The GG&G Remington 870 Black Sidesaddle is made specifically for the Remington 870 shotgun model, which is the most popular shotgun model in America. This particular sidesaddle will allow you to hold 6 extra shotgun shotshells which can be mounted right next to the receiver of your shotgun. 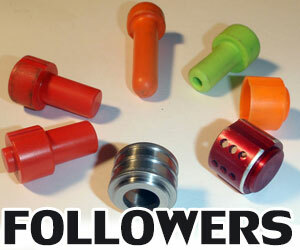 That way, you can just pull a shotshell out whenever you need one and then load it into the chamber within seconds. 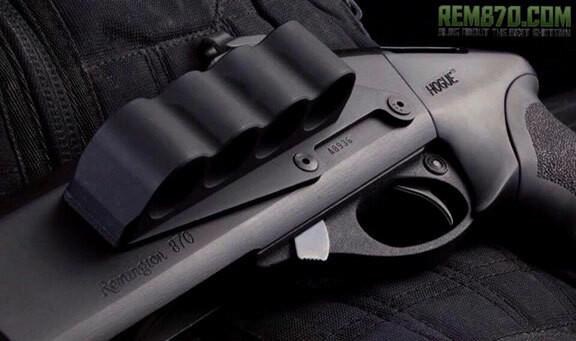 If you are in a combat situation where you don’t have much time to think or react, you need to have a sidesaddle mounted onto your weapon that gives you easy access to your shotshells like this one does. Therefore, this sidesaddle can very well save your life if you have it on your shotgun in a life-threatening situation. The GG&G Remington 870 Black Sidesaddle only weighs 7 ounces, so you certainly don’t have to worry about too much extra weight being added to your shotgun after you mount the sidesaddle to it. The mounting process is so simple and the sidesaddle itself takes up such little room on the receiver that you will practically forget it’s there when you’re firing. In fact, you won’t even need a gunsmith to help you with the mounting because the instructions you are given with the sidesaddle are so easy to follow that anybody can do it. The great thing about a Remington 870 is that it can be used for virtually any purpose. You could be an avid hunter who likes to shoot a prey or you could be a military soldier who uses their Remington 870 to defend themselves in combat. The reason why the GG&G Remington 870 Black Sidesaddle is the best choice for your 870 shotgun is because it has been made to have the same versatility as the shotgun itself. That is why this sidesaddle is the preferred accessory of most owners of the Remington 870. The current price of the GG&G Remington 870 Sidesaddle is $62.97. 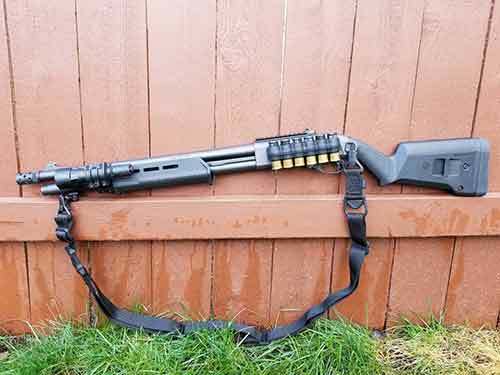 This might seem a bit pricey for a shotgun sidesaddle, but if you own a Remington 870 shotgun then this is the most compatible sidesaddle that you can ever purchase for it. But hurry, because this sidesaddle is a hot seller on Amazon and there are less than a dozen left in stock. Since it’s over $49, that means you will get free shipping if you purchase it as well. You simply can’t ask for a better deal than that. The Sureshell Polymer Shotshell Carrier by Mesa Tactical Products is a high-quality and affordable sidesaddle for your Remington shotgun. The three specific Remington shotgun models that this carrier is compatible with is the Remington 870, Remington 1100 and the Remington 11-87. In addition, there are also separate Sureshell Carrier models that are compatible with other shotgun brands including the Benelli M1/M2/M3 and the Mossberg 500/590. The price ranges of these sidesaddles go from $40 all the way up to $90. So, make sure you purchase the right sidesaddle that corresponds with the shotgun type that you have. The Sureshell Polymer Shotshell Carrier can hold up to 6 shotshells which are plenty to have in an emergency situation. The sidesaddle is conveniently mounted to the side of the receiver so you can easily grab a shotshell anytime you need one without taking your trigger hand off the weapon. If you are in a combat situation, this will be a lifesaver for you. As for the material of the sidesaddle, it is made of an impact resistant polymer which is lightweight and made to withstand tough conditions where it would be subjected to harsh falls and bangs. Therefore, you’ll never have to worry about your sidesaddle breaking or cracking when you’re forced to endure tough environmental conditions. Best of all, the aluminum backing plate will ensure your sidesaddle stays mounted to your weapon the whole time too. This mounting system contains a steel pin with steel fasteners that are threaded into them and two Chicago screws. The combination of all these components allows the attachment to be flawless and without any risk of the receiver getting pinched at all. There is even a window in the mounting plate so you can easily see the serial number of the shotgun without having to take the entire plate off. If you are someone who owns a lot of weapons, then this will certainly make it easier to inventory them. What is truly unique about Sureshell Polymer Shotshell Carriers is their dual rubber friction system. It prevents the shells in the carrier from sliding around or falling out of it as the weapon’s being jerked around a lot. 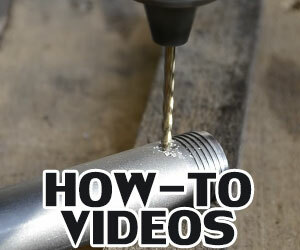 At the same time, you can easily push in and pull out a shell without much effort at all. So, you really get the best of both worlds when you have one of these carriers attached to your shotgun’s receiver. 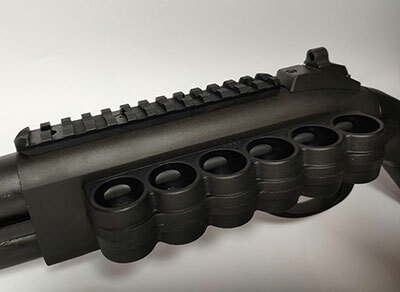 The Detachable Side Ammo Carrier by Vang Comp Systems can be mounted right onto the receiver of your shotgun for easy access to extra ammunition shells. This sidesaddle can hold up to 6 extra shells which is plenty of ammo if you need to reload your shotgun quickly. The shell carrier contains an aluminum backing plate which makes it lightweight and easy to carry around on your shotgun. In fact, you won’t even feel much of a difference in the weight of your weapon when you go to stabilize and shoot it. As for the shells inside the sidesaddle, they will be held securely in place because of the elastic webbing material on the exterior of it. This even protects the sidesaddle in moist or wet conditions and it will never feel slippery when you need to pull out a shell if it’s raining outside. Then you can just focus on shooting your target and not on the safety and durability of your shotgun’s sidesaddle accessory. The Detachable Side Ammo Carrier is made specifically for the Remington 870, Remington 1100 and the Remington 11-87 shotguns. As long as you have one of these shotguns, you will find this sidesaddle to be compatible and easy to mount to it. Also, they must be 12-gauge shotguns as well. Don’t worry if you’re not a gunsmith or professional weapons expert because this sidesaddle is simple to install. It also contains a hook-and-loop attachment system that allows you to install shell carrier very fast. And if you want to remove the shell carrier for any reason, you can do that just as quickly too. This means you won’t have to spend extra time to modify the weapon for you just so you can attach the sidesaddle to it. A lot of the other sidesaddles would require this, but not with the new ones like this. The price for one Detachable Side Ammo Carrier is $79.99 on the www.brownells.com website. You can also purchase a deluxe version of this sidesaddle which contains two shell carriers instead of one. The deluxe version only costs $96.99, which is less than $20 more than the standard version. If you want to purchase additional shell carriers, then it is $20 for each one. Just note that these extra carriers don’t include separate aluminum backing plates for each one. You only get one backing plate with the standard and deluxe versions, so keep that in mind. Any SideSaddles for lefty 870’s? Are there different side saddles for. 20 gage cartridge?